Bloodlines author, Peter Bowes, gives a rare interview, revealing the writers he finds most inspiring, and the best and worst things that people have said about his own work. Since the Sisters of The Sacred Heart taught me cursive writing at boarding school, after the war. Without family, words became friends. You could make them up! Which other writers do you find most inspiring? Edmund Hillary, Dougal Haston, Peter Matthiessen, Joseph Conrad, E. L. Doctorow, Donald Westlake, Richard Stark, John Banville, John Le Carre, Peter Temple, Tim Winton, Chester Himes, Michael Chabon. Are you a procrastinator, or do you find it easy to start writing each day? How do you write? And do you set yourself a target number of words to achieve each day? I write using Word; I like to see how the words might look on a page. Final edits are by pen or pencil. I write on a laptop or desktop, in a hotel or a car, in the sun or in the shade, alone or unendingly interrupted. How much do you revise and edit your own work? 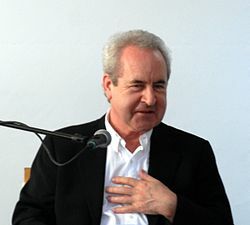 John Banville writes 400 words a day: I’m OK with that – the more I do, the more I have to undo and redo. Do you write in silence, or to music? Miles Davis to Rachmaninoff’s Vespers. 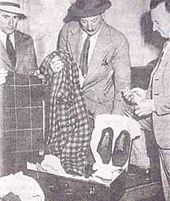 Many of your characters are based on real people. To what extent do you fictionalise them and the situations they find themselves in? There’s no need to fictionalise people I know, they give themselves all the time; strangers are the result of a personal chemistry. Bloodlines is an eclectic collection of short pieces, but you are also currently working on a much longer fictionalised account of the Somerton Man case. What do you find most challenging about writing book-length works? I’ve only ever tried this one, and the challenge has an almost mechanical side: linkage. The chapter threads must have continuity, even when they’re broken, but one thread, above all, must travel through them all to the end. 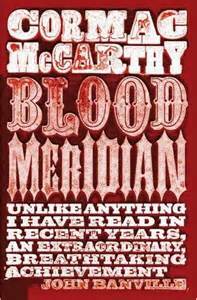 The one I’ve marked up most: Blood Meridian by Cormac McCarthy. None, I’ve got a bit of all the authors in me, plus I can imitate Cary Grant, John Wayne and Tony Soprano. What’s the worst thing anyone has ever said about your writing? This is a (! )@*#&$%@# surf site YOU MORON, if I want to read a book I’ll (! )@*#&$%@# BUY ONE !!!!!!!!!! That I’m a dangerous intellectual. Ah! So nice to see the man behind the words…and so dashingly handsome as well! Have been missing bumping into you in the water or walking the beach these last few years. Good to hear your words are now flowing to a more appreciative audience. Hope life is good up your way, and I very much look forward to the new book – be one hell of an achievement if you can bring it all together. This guy, This guy. Knows how to write, knows I can write. I don’t really know what comes from that. Books come from that, Shank. It’s not a comment, it’s a question. Do you know what happened to Pete’s website ‘Tomsbytwo’? Hope all is well with him. Rob, all is well up in the Byron hills thanks. I spent last night at the Bangalow Bowlo playing pool with the young bloke who runs about 200 cattle on 500 acres next door, he’s been pinging off wild dogs at about four a night .. a couple of them right by my fences, big rangy bastards that come down from the ranges to feed on his newborn calves. He wanted to know where Tomsbytwo disappeared to as well, I told him it was purely a research exercise that had reached its conclusion date. I said soon, then I thrashed him on the black. I hope all is well with you, Rob, and thanks for asking. Nearly there, Rob, Benno needs it to be perfect. And you’re right about blog fever, but it did the job.